This is how Dr. Christine Blasey Ford vulnerably opened up her testimony against Supreme Court justice nominee Brett Kavanaugh. Ford claims that Kavanaugh sexually assaulted her at a house party when she was just 15 years old, and he 17. Kavanaugh adamantly denies these allegations. He insists that with 100% certainty, he did not sexually assault Ford. Yet when Senator Durbin asked, “Dr. Ford, with what degree of certainty do you believe Brett Kavanaugh assaulted you?” Ford responded by simply saying, “One hundred percent.” There are two wildly different accounts from the attack in question, so either Kavanaugh or Ford lied while testifying. There continues to be heated debate over whether Ford is truly credible, and many questioned whether Kavanaugh should have lost his nomination. Since the case involves sexual misconduct, the response was very passionate and emotion-driven. Let’s think about this for a second: who here has something to gain? Or, more importantly, who here has more to lose? If Ford’s allegations were proven truthful and Kavanaugh was deemed unfit for the Supreme Court, then a new conservative nominee would have been picked. Ford’s allegations would not have prevented a Republican from getting a position on the Supreme Court, all that she would have done is prove why Kavanaugh unfit to be a Supreme Court Justice. On the other hand, if Kavanaugh had lost this nomination he would lose his opportunity to hold a position on the highest court in the land. His life would look drastically different. Ford shared her allegations in front of a Senate Judiciary Committee. Tears filled her eyes as she was forced to relive the heinous act she claims Kavanaugh committed. She talks about how an intoxicated, 17-year-old Brett Kavanaugh pushed her into a room and held her down while making sexual advances. She mentions how Kavanaugh’s friend Mark Judge was in the room, laughing along as Kavanaugh groped her body. It is quite impressive that Ford had the courage to come forward with these allegations. Originally, she wanted her identity to remain confidential. She clarified this in the letter she wrote to Senator Dianne Feinstein, but the letter was ineffective because Feinstein took no action after receiving it. The allegations weren’t shared with the FBI until the night before Kavanaugh’s confirmation vote. This is the first of many injustices that Ford has had to endure after coming forward. I came to the conclusion that Kavanaugh has a lot more to lose, and Ford has very little to gain. Kavanaugh is the one with the motivation to deny these allegations. Not only does Ford have little to gain by making these allegations, but she has already lost quite a bit just by speaking out. Not only has she received threats, but Ford has had to relocate multiple times. This means that she was forced to separate from her family for large chunks of time. Certain individuals have even posted her parent’s personal information online. In fact, the only good that came from her allegations was that individuals were better informed about Kavanaugh’s character. 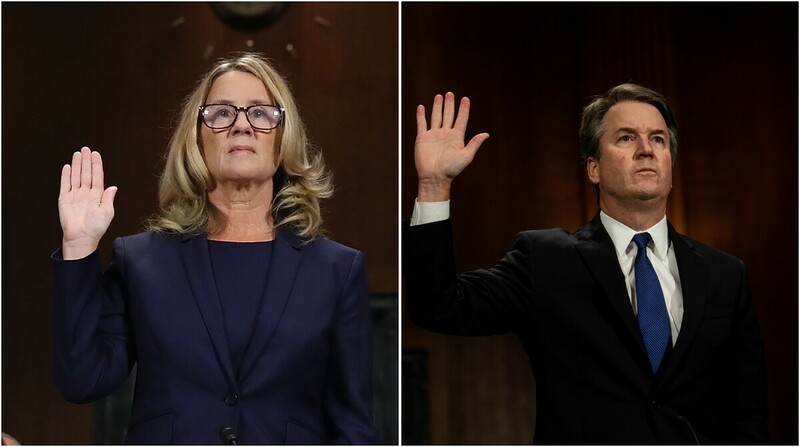 Ford’s motivation for opening up about this is simply put: “I am here because I believe it is my civic duty.” She felt that this excruciating process would be worth it as long as the public learned the truth about Kavanaugh. It’s true; Ford felt that Americans have the right to know the character of a person who may soon be appointed to the Supreme Court. There is hardly any other motivation for a reasonable person to come forward with this information. In my opinion, Ford displayed true bravery by openly talking about what she says Kavanaugh did to her. It is rarely easy for sexual assault survivors to openly talk about what happened to them, let alone in such a broad public display. Many people who viewed the Kavanaugh hearing were angry, and rightly so. I was angry. All I could do was turn my aggression into the hope that Americans begin to listen to sexual assault survivors. When I learned that Kavanaugh was officially placed on the Supreme Court I felt an overwhelming sense of defeat. I truly thought that together we would decide that sexual assaulters have no place on the highest court in the land. Sadly, I was mistaken. Sexual violence is not a political issue. Sexual violence needs to be viewed as wrong, no matter one’s political affiliation. Judge Kavanaugh’s confirmation to the Supreme Court may mark a depressing point in American history, but that does not mean we should lose hope. It is your right to vote in this country, and I highly advise that you do. Follow the in the strong footsteps of Ford and make your voice heard. Use her bravery to inspire you to do what is morally right.